OK, I understand that sometimes things can slip your mind. I also understand that making sure you've purchased the right SPF and exercising like crazy to be able to fit into your swimsuit (men too!) are very high on your list of priorities. 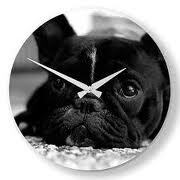 But for Pete's sake people, DON'T LEAVE BOOKING A PET SITTER UNTIL THE LAST MINUTE!! Every year I get between 3 and 6 calls within the two days before December 25 asking me if I have room to board dogs. I do not, and guess what? No one does. I understand that pets are a wee bit down the ladder to your children, but would you ever even consider calling a daycare and saying, "I know this is kind of short notice, but my husband/wife and I are taking a second honeymoon. We planned it last April. We got the most amazing deal in Hawaii, a quaint little beach house which our friends absolutely adored when they went. The pictures look stunning, and I hear they make the best Mai Tai in the world.....oh listen to me, I'm babbling......anyhoo can you take my kids for a week starting tomorrow?" It's not hard people - PLAN AHEAD! Last time I checked Santa still comes on the 25th, except for that one time he called me on the 24th because he had the flu. I had to deliver the presents that year. You're welcome.